What are age spots and liver spots? These skin spots are sometimes called Liver Spots and are flat brown spots that can appear anywhere on the body’s skin as it ages. 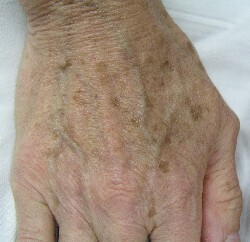 Most spots appear on the face, neck, and hands. These brown spots in themselves are harmless, but they can be a sign of more serious underlying problems. They are the result of a buildup of wastes known as lipofuscin accumulation, a Byproduct of free radical damage in skin cells . These age spots are actually signs that the cells are full of the type of accumulated wastes that slowly destroy the body's cells, including brain and liver cells. In other words, they are a surface sign of free radical intoxication of the body that may affect many internal structures as well, including the heart muscle and the retina. Factors leading to the formation of age spots include poor diet, lack of exercise, smoking, poor liver function, the ingestion of oxidized oils over a period of time, and, above all, excessive sun exposure. Exposure to the sun causes the development of free radicals that may damage the skin. Most people who have significant numbers of age spots live in sunny climates or have had excessive sun exposure. The formation of lipofuscin is associated with a deficiency of a number of important nutrients, including vitamin E, selenium, glutathione, chromium, and dimethylaminoethanol (DMAE). Consuming alcohol increases lipofuscin formation. One study found that animals fed alcohol over a period of eighteen months had twice the amount of lipofuscin on their brain cells as control animals in the control group. The most obvious cause of age spots is overexposure to sun. Prolonged exposure to sunlight activates the melanocytes to produce excess of melanin. Exposure to ultraviolet light is especially more likely to cause age spots. Other causes also play their role in forming age spots. These include poor diet (especially one that is rich in fats), lack of exercise or physical activity, poor liver function, and autointoxication. 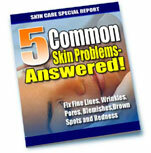 You can learn more about Anti-Aging Skin Care to help prevent skin problems such as age spots. Keep a close watch on age spots. If they change colour, become sensitive to pressure or give any other indication that their condition is changing then seek medical advice. What was once an age spot may become a skin cancer. Skin cancers can be removed without too much difficulty if they are caught early enough. If, on the other hand, you allow a skin cancer to establish itself and to infect other areas of your body then there is a good chance that it will kill you. If you have any doubt about blemishes on your skin and if they may possibly be a skin cancer then seek a medical opinion immediately. As you age it is good idea to look again at medical insurance because to hold back from medical review because you are concerned about cost can be a problem. Companies like Medicare Supplemental Insurance can give you information and quotes about dealing with the gap between Medicare and the 'real cost; of health care in USA. Removal of these spots is based on the fact that they increase the risk of skin cancer, which, like age spots, is associated with overexposure to solar radiation. Some of these treatment methods include freezing, using acids, skin sanding, and using electric needles. Laser therapy is now being used with greater success than these methods because they laser targets the spots more precisely and does minimum damage to the skin. In addition, laser treatment is less painful and promises faster recovery. For people with fair skin, bleaching solutions like hydroquinone are sometimes used for treating age spots. This chemical, however, causes irritation and reddening of the skin. Bleaching solutions kill melanin and, with time, this leads to fading of the age spots. Use of hydroquinone for treatment also necessitates that the treated skin area be protected completely from exposure to sun. For people with darker skin, hydroquinone is not used. Instead, kojic acid is used as an alternative treatment formula. Vitamin C products and mandelic acid products are also used to treat age spots. Check with your doctor to find out more about preventing and removing age spots. •	Aloe vera gel often has excellent results in improving aged spots and use of Aloe vera gel over a period of time often sees them virtually disappear. •	Burdock, milk thistle, and red clover aid in cleansing the bloodstream. This helps in removal of age spots. •	Eat a diet high in vegetable protein and that consists of 50 percent raw fruits and vegetables, plus fresh grains, cereals, seeds, and nuts. Be aware that seeds and nuts become rancid quickly when subjected to heat and/or exposed to the air. Purchase only raw nuts and seeds that have been vacuum sealed. •	Emu oil has shown good results on brown spots and helps to get rid of age spots. •	Ginkgo biloba improves circulation and is a potent antioxidant. •	Do not use cleansing creams, especially hydrogenated, hardened creams. Cleanse your skin with pure olive oil and a warm wet washcloth, then rinse with lemon juice and water. •	This has worked for some people: At night, saturate a cotton ball with pure lemon juice and put it over the spots (but do not apply it near the eyes). There may be some tingling, but only for a few minutes. If there is no sign of irritation, apply morning and night. •	Brown or yellow spots can usually be eliminated by freezing them off. During a painless in-office procedure, the doctor brushes liquid nitrogen on the spots with a cotton swab. In two seconds the cells freeze, and within five days, cells flake away, and permanent results occur. Alternatively, a doctor can burn the spots off with acid applied directly to the spots, or remove them using laser light. With this process, there is no lightening of the skin after removal is completed. This problem, like so many others, indicates that your body system is working to deal with underlying problems. This may be a build up of toxins and poisons in your body and the symptoms you are experiencing is part of your bodies attempts to deal with them. It may be due to difficulties with your digestive system that is causing your body to be starved of key nutrients, vitamins or minerals. In this case you may find useful answers by reviewing our article on Nutrition For Your Cells. It may be that your metabolic rate has slowed due to pressures that have been placed on your system through life in general or through specific “challenges” you have faced in the last few months or last few years. - Fix fine lines, wrinkles, pores, blemishes, brown spots and redness. 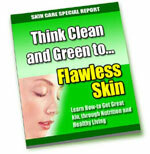 Here is a look-terrific and stay-healthy guide to a dazzling skin. With new research, new products and new skin protection advice popping up all the time, it is hard to figure out the best things to do to improve and protect your skin. There are many different types of blemishes that you can get on your face. They are all generally called acne but when it comes to treatment, it is important to know exactly what is going on with your skin. The most common type of acne is Acne Vulgaris which literally means 'common acne.' This type of acne can cause blackheads, whiteheads, papules, pustules, nodules and cysts. Whiteheads, also known as closed comedones, are follicles that are filled with the same as blackheads, but have only a microscopic opening to the skin surface. Since the air cannot reach the follicle, the material is not oxidized, and remains white. An open comedo, or blackhead, occurs when the plug enlarges and pushes through the surface of the skin. Its dark appearance is not due to dirt, but rather to a build up of the dark pigment of the skin called melanin. Blackheads are also a type of inflammatory acne. Most people with mild or moderate acne will recover from the condition without serious scarring. In cases of severe acne, however, scarring is almost inevitable. But don't give up hope -- new acne treatments can minimize scarring and existing scars can be removed with a variety of techniques. People experience different types of scarring from acne, and every person is left with different facial topography. Therefore, acne scar treatment must be addressed on a case by case basis. No single treatment is right for everyone. You and your dermatologist or cosmetic surgeon will have to decide what is right for your type of acne scarring. Aside from being our body's largest organ that protects us against various infections and illnesses, our skin is also the best indicator of aging. Since the skin plays an important role in our overall well being, it is a must that we take care of it the best possible way we can. Let’s accept the fact: many of us are skin conscious. As much as possible, we wanted to have a fresh, good looking skin. However, many of us failed to recognize that simple steps are the best ways to attain it. Can You Get Rid of Age Spots and Wrinkles Using Natural Products? SITE DISCLAIMER: Do these products “cure” anything? Of course not… but it stands to reason that if you cleanse your body and feed it the finest nutrition available, giving it everything it needs in balance, on a daily basis, that your body will do what nature intended, and give you the best possible chance to fend off sickness and disease. This age spots information is not presented by a medical practitioner and is for educational and informational purposes only. The content is not intended to be a substitute for professional medical advice, diagnosis, or treatment. Always seek the advice of your physician or other qualified health provider with any age spots questions you may have regarding a medical condition. Never disregard professional medical advice or delay in seeking it because of something you have read. The age spots resources on this site are not intended to be a substitute for professional advice. While all attempts have been made to verify information provided in this publication, neither the author nor the publisher assumes any responsibility for errors, omissions or contrary interpretation of the web site age spots subject matter herein. The site age spots contents are solely the opinion of the authors and should not be considered as a form of advice, direction and/or recommendation of any kind. If expert advice or counseling is needed, services of a competent professional should be sought. The author and the Publisher assume no responsibility or liability and specifically disclaim any warranty, express or implied for any products or services mentioned, or any techniques or age spots practices described. The purchaser or reader of this publication assumes responsibility for the use of these age spots materials and information. Neither the author nor the Publisher assumes any responsibility or liability whatsoever on the behalf of any purchaser or reader of these age spots materials. There is no guarantee of validity of accuracy. Any perceived slight of specific people or organizations is unintentional. This website and its creators are not responsible for the content of any sites linked to. Since natural and/or dietary supplements are not FDA approved they must be accompanied by a two-part disclaimer on the product label: that the statement has not been evaluated by FDA and that the product is not intended to "diagnose, treat, cure or prevent any disease."